Climate change, war, famine – there are currently more problems than solutions on our planet. So the question arises: can we still save the world? Or is this just a notion held by dreamers? 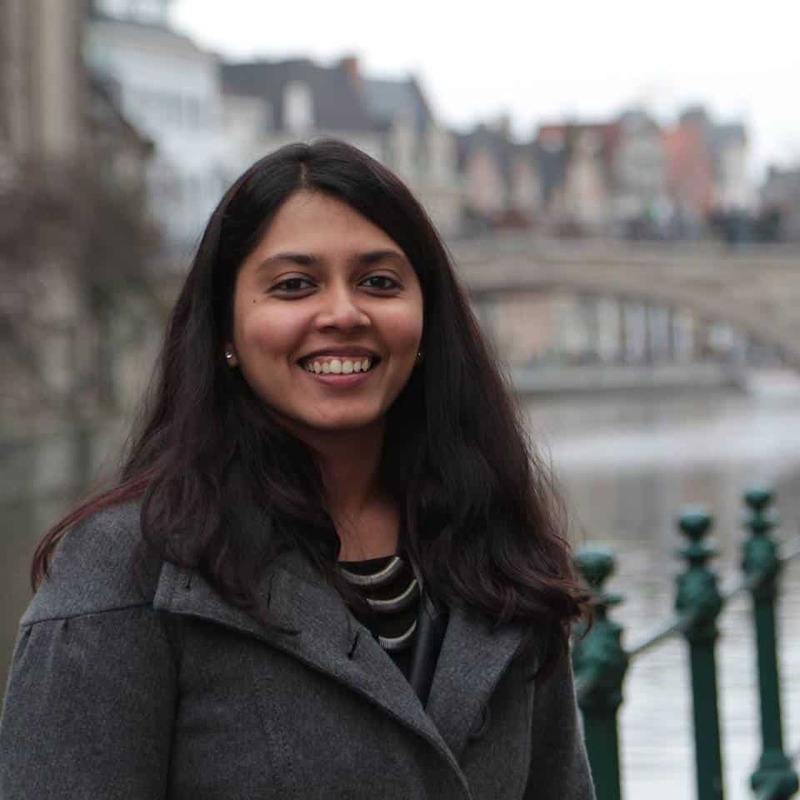 Rashmi Jawahar and Andreas Lehner, graduates of the Institute of Energy, Mobility and Environmental Management, demonstrate how to develop an international career from an industrial engineering degree and save the world at the same time. She is Indian and works at UN Environment in Paris. He is Austrian and co-founder of TRINE, a digital investment platform for solar projects in emerging countries. Two young people who operate in different worlds of work and life. Yet despite their differences, they are united by one key issue: the battle against climate change. Both want to achieve real change through their jobs and shape our society in the long-term. The stories of Rashmi and Andreas show just how different approaches to this change can be. Rashmi Jawahar (28) has already had first-hand experience of several international cities and their problems. Following her Bachelor’s course in Electrical and Electronic Engineering at the Anna University Chennai in India, she opted for a completely different culture and climate zone for her Master’s degree in 'Energy and Transport Management' at FH JOANNEUM. As a student, she discovered a passion for creative projects and problems for which there is no simple solution. This passion for solving problems and improving global living conditions in the long-term led her to submit a spontaneous application via the United Nations job portal after graduating. Her courage paid off – and today Rashmi Jawahar works as a Programme Development Consultant for energy and climate at UN Environment in Paris. In her job, she develops solutions and programmes which highlight the commitment of the UN in the fields of technology and sustainability. Rashmi Jawahar is by no means an unrealistic dreamer who wants to save the world with stardust. She is committed to projects which can make a realistic and lasting change – such as the United for Efficiency project. This project supports nations in their transition to energy-efficient products (e.g. lighting, fridges, air-conditioning, electric motors etc.) It is a simple project with the potential to reduce global energy consumption by 10% and save 1.25 billion tonnes of CO2 each year. As is so often the case in life, small changes can achieve big effects. Find out which field interests you, do several internships, meet like-minded people and form a network. Sustainability is an interdisciplinary field with lots of exciting development opportunities – from clean energy to new technologies. The main aim is to create a sustainable future – what could be more enriching? Andreas Lehner (27), winner of the Karin Markides Innovation Award 2017, describes himself as a champion of social change, technology lover and sustainability fanatic. Andreas Lehner’s great passion for sustainability developed during his Bachelor’s course in 'Energy, Transport and Environmental Management’ at FH JOANNEUM. 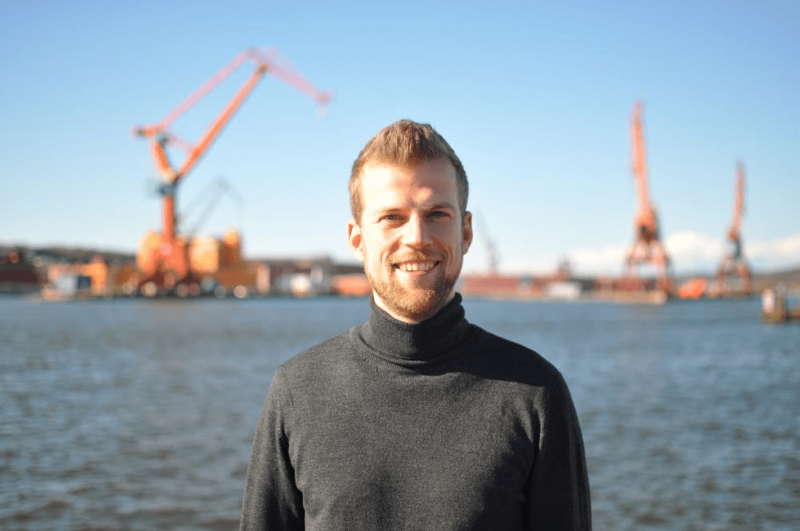 After completing a semester abroad at the Turku University of Applied Sciences in Finland, he decided to pursue a Master’s degree in Sustainable Energy Systems at the Chalmers Technological University in Sweden. It was here that Andreas met his current business partner Sam Manaberi. At the university’s start-up centre, the idea for the TRINE start-up was launched, a platform for crowdfunding investments backing solar projects in Africa. Today TRINE is one of the leading digital investment platforms and based on the notion of ‘profit with purpose’, enables any private individual to invest in solar projects (min. investment of 25 euros) and at the same time combat energy poverty. The investment projects enable the provision of operating capital for local solar energy companies. TRINE is Andreas Lehner’s personal success story in which he has invested a great deal of passion and personal commitment. What began as a start-up with four company founders is now a successful company with 19 employees. At present, 20 solar projects in developing companies are benefiting from around 3 million euros of investment from over 4,500 crowd investors. TRINE has therefore succeeded in freeing over 200,000 people from the ‘energy poverty’ trap with the support of committed small-scale investors as well as reducing CO2 by over 60,000 tonnes. The latest TRINE project is helping to equip 300 homes in Kenya with solar home systems consisting of four solar lamps, a cell phone charger, a battery, solar panel and control system. The aim of the project is to provide over 6,000 people with electricity and thereby quality of life. See here for project details. As you can see, small measures can make a big difference. For me, it is very important to spend my time on something which brings about real change. We are not just battling the #1 problem of mankind, climate change, we are also working with our solar partners to develop local economies which enable people to escape energy poverty and enable future generations to live a better life.